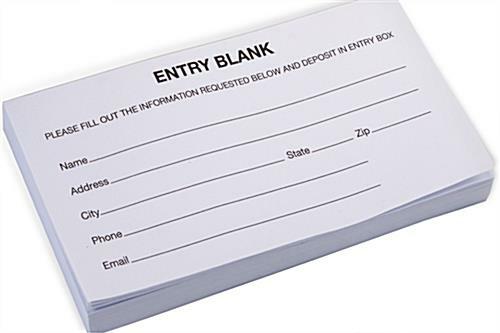 These entry forms come in pads with (100) sheets for ease of use. Each sheet contains a simple, generic layout for collecting personal information on entrants for a contest, prize drawing, or raffle. 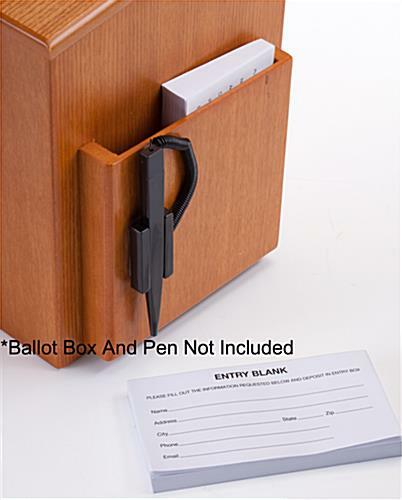 These entry forms can also be used as "official ballots" in elections or when suggestions are needed. The blank sheets for drawings measure 5-1/4" x 2-3/4" each. Their size is suitable for use in almost any ballot box or suggestion container.